Windscreen chips might seem innocuous, but they can spread and cause irreversible damage if left unaddressed. At National Windscreens, we are fully capable of providing professional windscreen chip repair for your vehicle. 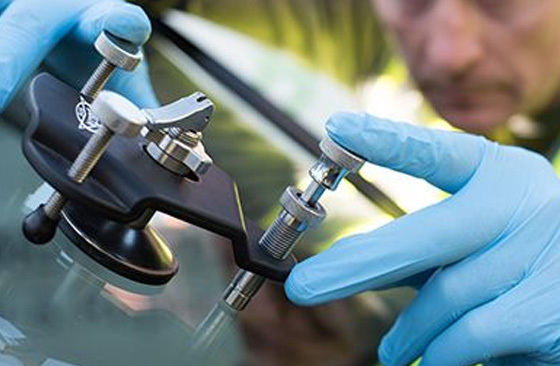 Our rapid response team strive to repair your windscreen as soon as possible, using cutting-edge equipment and effective techniques to ensure successful windscreen repair around Australia. There are several other reasons why National Windscreens is considered one of the best car windscreen repair companies. We operate seven workshops throughout Victoria,uphold the highest standard of workmanship, deliver personal customer service, and offer competitive windscreen repair quotes. Our specialists recommend that you act quickly to arrange windshield repair as soon as you identify a chip in your windscreen. If you find a chip and the damage is smaller than a 5 cent piece, then it can be repaired before it spreads into a crack that can’t be repaired. Boasting 20 years of experience when it comes to windshield glass repair, we can be trusted to respond quickly and act decisively. You can rely on us to provide superior windscreen chip repair and auto glass windscreen repair, helping you to save money on replacement costs. There’s no better choice than National Windscreens when you require prompt and efficient car windscreen chip repair for your vehicle. To learn more, make a booking or get a windscreen repair quote for our windscreen chip repair cost, call us on 1300 36 36 32. Alternatively, you can fill out our convenient online enquiry form and our car windshield repair team will get back to you as soon as possible.